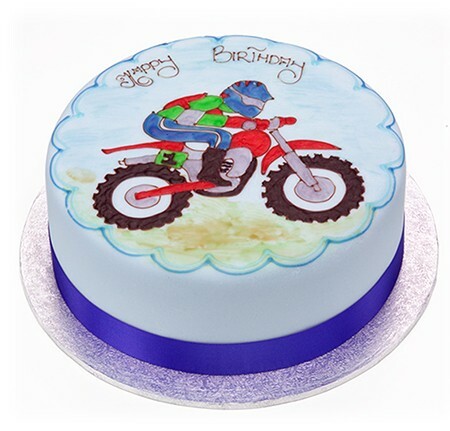 This cake sure has some vroom to it. Fully iced in a pale blue icing and hand-decorated with a terrific hand-piped jelly motor-cross rider. This cake sure has some vroom to it. Fully iced in a pale blue icing and hand-decorated with a terrific hand-piped jelly motor-cross rider. The cake is finished with a royal blue satin ribbon.